There are 10 million (rough count) laundry products available on the market, from regular detergent to detergents formulated especially for dark clothing, for white clothing, for workout gear, and for delicates. Then there are stain treatments and products for cleaning a washing machine and drying racks and right, it’s just a lot of stuff. You don’t need all of that stuff to up your laundry game, but here are few products that you should know about. 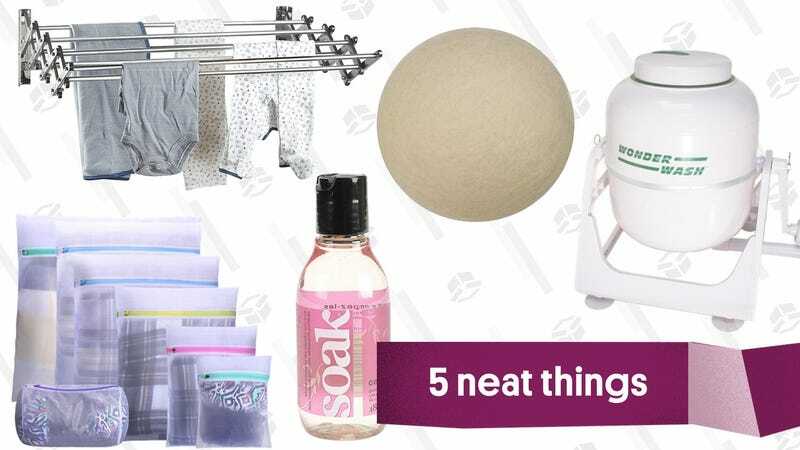 If you do a lot of hand-laundering, either because you travel a lot, or your access to laundry facilities is limited at home, or because you’ve, say, spent a mint on bras and want to make them last a long time, a delicates detergent is an investment you’ll want to consider. No-rinse formulas like Eucalan No Rinse Delicates Wash or Soak Wash will make the already pretty easy process of hand-washing even easier by cutting out a step. Soak comes in five scents (Celebration, Fig, Yuzu, Pineapple Grove and Lacey), as well as a fragrance-free formula for those who prefer that their detergent is free of perfumes. If you can’t decide which scent is for you, or if you want something to take with you when you travel, they offer an assortment of 5ml sample packs. If you don’t have a washer-dryer in your home, a small hand-crank washer like the Wonder Wash is a good way to stay on top of smaller items — like underwear, gym clothes, PJs — that you need to wash frequently, without having to make a trip to the basement laundry or laundromat. 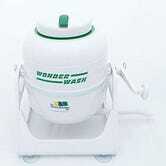 The Wonder Wash has a 5 lb. capacity, though I would suggest you reserve it for smaller loads. The good news is that doing a load of wash in a hand-crank dealie only takes about 2 minutes, no hookup required. 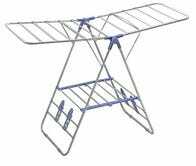 The best drying racks are ones that allow you to lay clothes flat to dry and also give you the option of hang drying them from a hanger, like this Sunbeam rack that also has the benefit of folding flat for storage. If floor space is a concern, look for a wall-mounted telescoping drying rack, which can be folded flush against the wall when not in use. 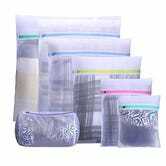 Most of us, however, are going to use our machines for most of our laundry, and mesh washing bags are a must for keeping small or delicate things like bras, bathing suits, shoelaces, and even sweaters safe. Another benefit of using a mesh bag is for items that you want to wash in the machine, but that you don’t want to go into the dryer. The bag makes it super easy to pull stuff out of the wash to air dry, without worrying that they’ll make their way into the dryer. Dryer sheets and liquid fabric softener can do a number on towels and clothing with any sort of elastic in them. 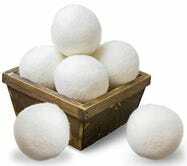 Dryer balls provide an alternative to fabric softening sheets — Just toss them in the dryer, where, as they bounce around, they’ll soften clothes and help to speed up drying times by encouraging better air circulation in the machine. Dryer balls are especially clutch when drying oversized items like comforters and parkas. They can be used over and over again, so they’ll save you money, too!